BMW and Toyota have been collaborating on what has long been rumored to be a new sports car for each brand. Well it’s been three years since they started working together, and it turns out Toyota hasn’t decided whether or not to actually go into production. Since 2012 the two companies have been rumored to be working together on fuel cell technologies, lightweight components for their lineups, and ultimately the production of a new sports car for each brand. If you, as I did, sort of assumed the project would be far along by now, well we’re wrong. Meanwhile it was reported that BMW was looking to expand the collaboration project with Toyota, but it isn’t clear whether or not the Bavarian brand has solid plans for production. When we last heard of the Toyota sports car we learned that BMW and Toyota were looking at producing non-competing cars from their joint project, with the option for the project to provide different scale vehicles in order to maximize each company’s profits. 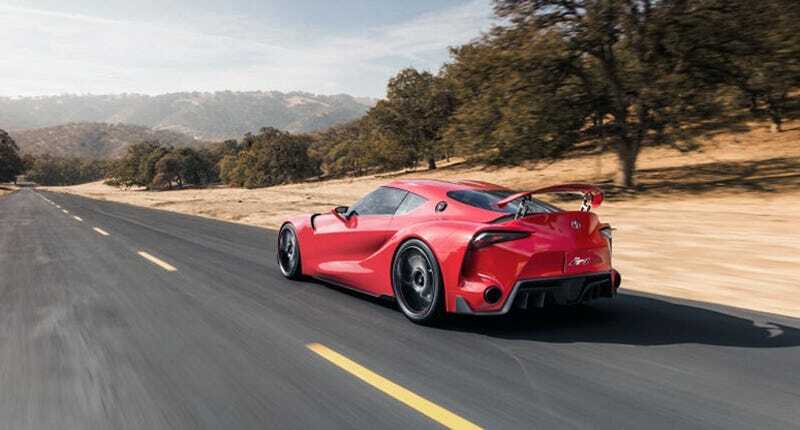 It was said that the Toyota sports car may be the Supra, and hold that name, and would ultimately be the larger of the two vehicles produced. BMW would apply the research to a new Z4 roadster, and thus the two companies would avoid directly competing with one another. To be honest I’m sort of bummed. It’s not a no, but I had my mind set on at least two concept cars resulting from this project. So far we’ve only got the magnificent Toyota FT-1 to wet our jimmies. Hopefully by the end of the year each company makes the right choice, but perhaps we should feign our optimism in a current shrinking sports car market.